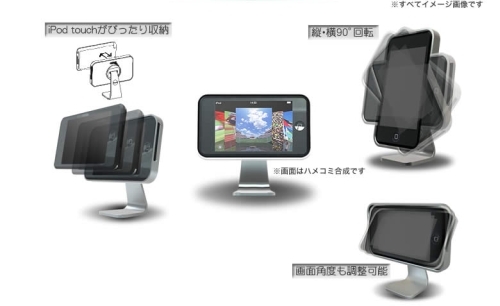 RockRidgeSound Japan has released or announced to release a very cool stand for the iTouch called the iClooley that turns your iTouch into a miniature iMac desktop. Like most gadgets from Japan we’d like to have one of these, but no word on when or if they will ever make it stateside. There doesn’t seem to be an order link on their page either, so we’ll just have to keep our iFingers crossed.